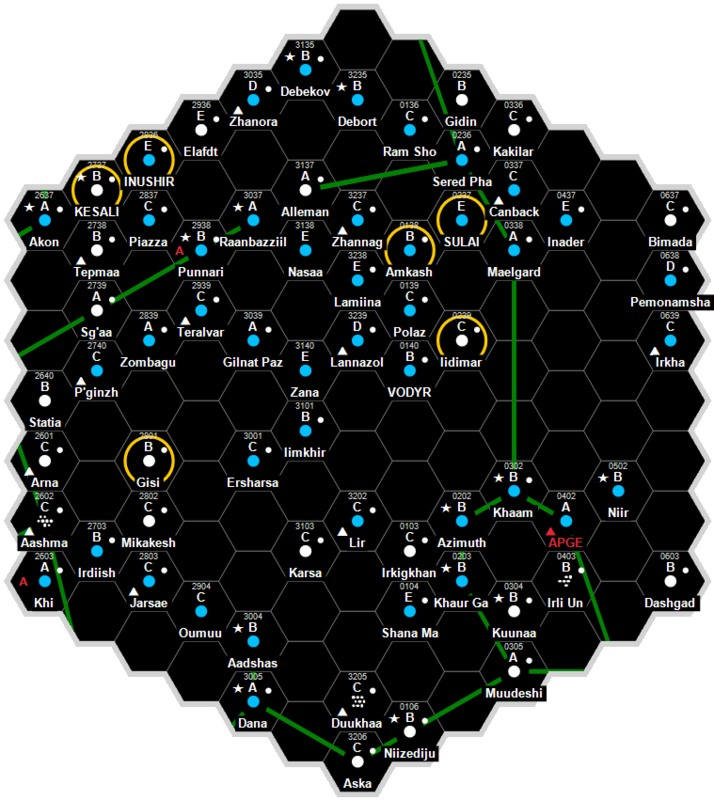 Raguegh is a high-population ring of many small worldlets (planetoids AKA an "asteroid belt"), not capable of retaining an atmosphere or water, and are both non-agricultural and industrial in nature with a billion or more sophonts in population size. Raguegh, as a member world of the Third Imperium, holds the estate of three members of the Imperial Nobility, who are charged with overseeing the world. Raguegh has a good quality starport. Raguegh possesses a Technology Level of TL–15 or TL-F in Hexadecimal Notation.